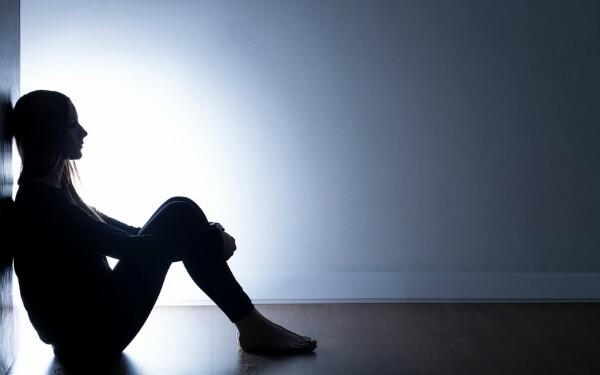 Social workers are working through illness or putting in extra unpaid hours just to keep up with their caseloads, a study has found. The survey of more than 1,200 social workers found 60% said they had worked when they should have taken time off sick on at least two occasions over the past year. Researchers also found social workers worked an average of 10 extra hours each week, which equated to £600m unpaid overtime per year when applied to the entire UK social work workforce. Bath Spa University carried out the study, with support from the British Association of Social Workers and the Social Workers Union. Jermaine Ravalier, the study’s lead author, said the results showed the satisfaction social workers got from their jobs “can no longer outweigh the lack of support they are experiencing”. He said: “Deep budget cuts are forcing social workers to take on more cases than ever, putting them under pressure to deliver a service to people that are often vulnerable with fewer resources. In order to keep up, they are simply giving away days of their personal time. The research found social workers were “moderately to highly engaged” in their jobs but were put under “significant strain” by organisational factors, such as poor working conditions. Forty per cent of respondents said they were dissatisfied with their jobs and half wanted to quit within the next year-and-a-half. These feelings were stronger among children’s social workers than adult’s or independent social workers. Asked about what would improve working conditions, social workers said they wanted to see reduced caseloads, better managerial support and supervision, and steps taken to address the “blame culture” affecting the profession. The study also found some social workers believed there was a culture of “institutional racism” in councils, but the report authors said the small sample size (130) reporting this meant the findings required greater investigation. Social workers with disabilities said councils showed a “lack of understanding” of the impact their disabilities had on their jobs and often failed to introduce small changes that could have helped. John McGowan, general secretary of SWU, said it was a “great concern” that social workers were considering leaving the profession. BASW, SWU and Ravalier said they would work together on recommendations they could present to the government on how to address the problems identified. I have recently left front line social work as a deputy manager I held cases, managed the team in a day to day basis, supported ASYE’s and supervised staff on top of the rest of the job! The hours I put in were stupid every weekend and 7:30am till gone 10pm most nights yet this just made a rod for my own back as I got things done! To use the cliche been there, got the tee shirt … it will never change until the management become human and humane. The blame and scapegoat mentality is banished and the core sw values are applied to the work force. Walking past your employee with an icy stare and head held aloft does not suggest a basic element of care for your colleague, how are you exist to in that environment for long? Couple with the blame game culture makes for poor morale, which prevents effective delivery of service at the coal face. After all social workers are human too. This highly toxic psychological environment can only lead to dispare and a higher incidence of burnout and long term sickness or exit. Until we take seriously the systematic attacks to bring devalue a worthwhile profession by governments & the media at large this will continue. Budget cuts, lost and values partnerships, have continued to cripple the profession so that the same profession can be blamed and then re-structured to like something Social Work is not. We as Social Workers need to look at ourselves and take some of the responsibility. We blame ourselves, internalise the negativity, we cover, we support and enable all to the detriment to ourselves, families & the clients we care about. We are not given time to process, reflect let alone discuss real issues within the work such as secondary trauma / compassionate fatigue. We carry on hoping we won’t drop. I have left the profession for two years and about to return as it’s a vocation for me – but believe me I’m scared & anxious. I work for a Local Authority Children’s school transport as a driver. My driver colleagues and I always work with illness. The passenger assistants too. A lady I work with had conjunctivitis and was told she must work because there was nobody to take her place. I was urinating blood just last week and guess what? I had to work. I worked with a broken foot last year. My foot swelled up as I worked in pain. After the morning shift I went to the hospital and was driving that afternoon.. A friend worked a week after a heart attack (we’re allowed to phone in the morning if we’re sick but the phones aren’t always switched on to leave a message so we can let everyone down and get a bad reputation or work while ill). We’re all doing our best not to let our immediate colleagues down. Trouble is (as I’ve found), Local Authorities are badly run and top heavy with people who couldn’t organise their way out of a paper bag. People who get a job they know nothing about and continue knowing nothing about.. Wasting money on pointless training courses and ticking boxes for future ofsted reports is more important than we are or the children we transport. I’m sure working through illness is what an awful lot of us lowly dirty-rascals have to do for the king of the castle to keep our jobs or stay off the s**t list.. I have to object to the statement made by the author in relation to contract workers. Having been a ‘contract’ worker for some years in a number of different authorities, I can truthfully claim that my commitment to each & every child & family has been 100%. Neither have I ever allowed my paid hours to influence the task in hand. Moreover, I have found my colleagues; permanent or contract have all had a shared commitment to their profession that has seen resources & services totally eroded. The main issue is the increasing complexity of the nature of the work that social workers are faced with on a daily basis. Alongside this is competing demands in timescales & deadlines, the requirement to undertake more & more complex assessments and …. dare I say ….. the fear of Ofsted inspections. Been a sw for 3 years children’s. In fact fostering, which is so not how it used to be. Deadlines for PLO, so many additional duties ad a result of kinship assessments. I’ve already lost over 3 days flexi since April. I’ve recently gone off ill through stress. I am a childrens social worker who has just gone though the asye process and am feeling that i was assessed but not supported or educated during this year. I have tried to do my best for all of the children that i have on my case load, and it still isn’t enough. I feel that i will be seriously thinking about whether to carry on with social work, or find a different career which doesn’t take up a lot of my own time, or blame me for trying my best, while paying me year on year 2.9% less than I got the previous year. I feel used, put upon and not valued. On top of this i’ve got a home which needs serious work doing on it to repair and maintain it, except i cant afford to have my home repaired. So to conclude i cant afford to live in a modest house that cost £88,000. I cant employ a person to repair my home, I cant do the work myself because i am too tired to do it, and i dont have the money for materials to repair my home. On top of this i dont feel valued at work or listened to. I am not going to mention where i am employed but feel that this is just one persons experience since leaving university with a £40,500 student debt. There are times i wish i could turn back time as i would never have done the degree as it has had a massive financial and physical impact upon my life and family life. I’m considering moving on! Kevin, your reply really struck a chord with me, as a social worker of almost 20 years, who has only ever worked frontline in child protection. In your short social work career, you have already ‘hit the nail on the head’ and summed up how I felt in this industry two decades on. The majority of us social worker’s get into this field because we care about people, and want to make a positive difference in their lives of others. This is often to our own detriment; in terms of our time and physical/ emotional well-being. There is never enough time to cope with the ever increasing demands, and the more we do and the more extra hours we put in of our own time is of no use, as we are just rewarded with ‘more work’. I have found that over the last decade I have lived a fairly lonely and solitary existence; with the most significant and important relationship in my life being with work and my computer. I have spent years working late evenings and weekends, and of course there is never any thanks from managers or additional pay. If the universities and workplaces were honest with prospective social workers about the demands of the job; mainly the lack of support, long hours, and heavy workload; they would have no-takers, hence the reason why they continue with the deception. Please take my advice – it is positive you have come to realise the reality and demands of social worker now at the start of your career, as opposed to 10-20 years down the line, and you are able to re-train. You went to university to have a better life, not to get into a field where you have no quality of life, and all your free time is spent at the workplace, doing unpaid overtime for no thanks or benefit. The only person who will ultimate suffer is you – the cost to your social / personal life and health is huge. Can you imagine what these sorts of hours and stress do to relationships long-term, or when you juggle this job with kids???? It’s better to get into a job where you work your hours, and then can go home and enjoy your free time, and can return to work refreshed and relaxed, as opposed to stressed and tired. It’s not worth it long-term. When all my friends were out socialising and having fun on evenings and weekends; I was stuck at work, and in front of the computer. What good has it done me now? I have lost years at work, which I can never get back, and for no benefit. The positive thing is that I have re-trained, and am getting out of this field, and I can finally enjoy having my free time back. Good luck to you, and get out whilst you can. I returned to front line children’s social work and after nine months had to admit the job is impossible. The paperwork is endless, it’s so disheartening to see committed and passionate people tapping away at computers instead of working with families. I feel the changes recommended by Lord Laming following the awful death of Victoria climbie were necessary of course, however it feels the trend to input data and produce reports, the focus on KPI’s has taken the focus away from working with families. It’s very sad but I do not think I will ever return to social work and I will miss it, but your health is important too. I left social work 3 years ago, due to burn out, I was so bad that my work suffered. It took 18 months for me to recover. I had no support during this time from work. They only wanted to know when I was coming back. I never did. I love the profession, but I am so worried about going back. I am in the process of looking at a career change, I would only go back as a locum, because I don’t trust the management system, the blame culture and the constant micro management pressure of ofsted. It is impossible to have a work life balance, in this job. I have worked in teams with high levels of locums some were brilliant and some not so good. However, I was always a permanent staff member. If I go back it will be as a locum, so I have control of my life, working life balance. I can stop when I need to, and not when it fits in with the needs of the organisation. LA don’t care enough for their staff most time it’s lip service, central government don’t care either and it’s sad to say it, that this way of working will not protect children and their families. The Media, have a lot to answer for the way, they have belittled, and bullied social workers, who made a mistake. If social workers walk it is the LA and Central Government, and the Media’s fault. You can not keep kicking people down, we have feelings, and when you only have one option left you walk. I am currently training as a social worker, while working full time and with no help from my employer towards my social work degree. Reading reports like this and the comments do really scare me as I would like to work within a Children & Families team when I qualify. I don’t see how these situations will get better as more and more cuts are made and the resources we have are made less and less. The comments on ‘the Media’ I think are spot on, it’s something that seriously makes me want to quit what I’m doing for fear of the blame game and the bullying that seems to happen. I do think Management is incredibly important and I have seen a lot of teams where this is wrong. I think especially in a field like this Managers need to be supportive and understanding, and genuinely care about their teams. Luckily in my current role I have this but it does make me feel really worried about moving into a social work team when I’m qualified, I really hope it isn’t something I come to regret. It will not get any better. So I suggest you prepare to make a change, for the team and the family or young person you come to support. Social work is not easy, and can be very rewarding when you see a successful outcome. I would put my health first! Reason being if I can not deal with myself first, then I have no right to take on a case. Having worked as a frontline children’s SW for over 10 years I am very surprised that this research found that SW’s ONLY worked an average of 10extra hours each week. Like the majority of my colleagues, I have often worked 30+ extra hours per week. The same study but sampling only front line children’s SW’s would be much more reflective of the real toll this job is taking on workers. I left my permanent post earlier this year to join a SW agency. I still work way more than my paid hours but I no longer feel oppressed by the ‘top down’ pressure and blame culture. I feel more in control of my life and knowing that I can leave and find another short term contract tomorrow, helps me cope with the stresses which will always be there and I believe that I am a better SW as a result. Stress is a life limiting condition. I believe that over and above the commitment we all feel towards the children and families we work with, we owe it to our own families, to keep ourselves well. I think there is something fundamentally flawed about the system at present and the profession is notoriously under resourced, under staffed and over worked. As a senior practitioner working for a busy local authority on and off for the past 18 years I too recognised the strain of the job only after leaving. The long hours and struggling collegaues and managers left little room for effective supervision and support. Its not a family friendly job and my physical, emotional and mental health suffered as a result of my conscientious efforts to do my utmost to support the families on my caseload- often at the detriment of my own and my familiy’s health and wellbeing. More experienced staff are leaving and unless things improve with more recognition/ support/ funding/increased staffing then things will only get worse. Perhaps the root of the problem lies partly in the fact that Social Work is actually such a diverse collection of jobs under one “umbrella” title that this leads to a lack of understanding of what Social Workers actually do? I cannot help but think that we should be asking whether the general public actually comprehend Social Work; especially this diversity of roles related aspect of its nature. We should also be asking the same thing with regards to Governments, policy makers, and adjudication/registration bodies. Put simply… before we can even begin to comprehend fully why Social Work seems to be so misunderstood, and so undervalued, we need to understand what people see Social Work as. For instance, do people appreciate the fact that a Mental Health Social Worker in a Medium Secure Psychiatric Facility may perform a very different role when compared to a Hospital Discharge Social Worker, or to a Social Worker helping the elderly in a community setting? Even though all these roles may have the job title “Social Worker”, what the actual worker does on a day-to-day basis is VERY different. Consider the fact that a Mental Health Social Worker in a Forensic setting may be involved in criminal profiling, in attending Mental Health Review Tribunals (and by law has to produce reports for these), in liaison with the Home Office to ensure that prisoners/patients released “on licence” from a secure facility back into the community are a)safe, b)not reoffending, and c)cannot come into contact with their previous victims. These may be very specific tasks undertaken only by Social Workers in such a role. In addition, they will also perform other more general tasks that ALL Social Workers undertake, such as carrying out needs assessments, welfare benefit checks, and so forth. DO the public, Government, policy-makers and registration bodies (etc) understand that despite Social Workers all having the same formal job title, within their day-to-day roles Social Workers working with different client groups undertake vastly different tasks? If this is not understood, then it makes perfect sense that Social Work will remain a misinterpreted, confusing and possibly frightening conundrum in many people’s eyes – and that this will result in a continuing lack of support for the profession. Sorry if I’m stating the obvious, but I sense that people like to believe they know what other people are about – and this includes understanding the work they do. If something isn’t understood then it becomes scary, and people tend not to be supportive of things that scare or confuse them. A profession that is totally misunderstood by both public and policymakers is hardly going to be a profession that gets loads of support. Rather, the fact that said profession IS confusing (and thus somewhat scary to some) is likely to mean that the profession may risk becoming a kind of “Cinderella service” – overlooked, underfunded, and lacking any real recognition of how hard its employees work. This also means that it could become a target for criticism, including in the media. Put simply, if nobody really understands who you are or what you do, then it’s easy to condemn you and write you off. I believe that Social Work as a profession suffers from some major problems, which are the result of both internal and external factors. Its lack of identity, and the confusing number of roles that individual Social Workers may undertake, means that the profession is misunderstood and lacks public support. This has a “domino” effect, both inside and outside the profession. Outside, it means that the public may fear Social Workers, or be confused about what they do, and thus come to dislike them. It means that Social Workers may be criticized, or misrepresented in the media – adding to public ill-feeling. Inside the profession, lack of cohesive identity may fragment the workforce. I have talked, before, of different types of Social Workers being uncertain as to what each-other does. A fragmented workforce is NOT a workforce that can stick up for itself easily if problems occur; nor is it a workforce that can effectively engage in P.R. exercises or attempts to raise the profile of Social Work. This is where it gets interesting! The NHS is a huge organization, and it is responsible for the setting of terms and conditions in respect of its employees’ work. This tends (even during times of recession and hardship) to result in a fair amount of consistency with regard to workers’ roles, plus their terms and conditions, from one NHS employer to another. Pay, job specification, terms and conditions for, say, a Physiotherapist in one NHS Hospital will be pretty much the same as for a Physiotherapist in any other NHS Hospital (excluding the issue of “London weighting”). NHS employers will be expected to provide the exact same training for staff of like roles, the exact same working conditions, the exact same resources, and so forth. So, for example, a Nurse on a children’s ward in ANY Hospital will wear a uniform, have the same sort of work environment (i.e. a ward in a Hospital), perform set tasks (i.e. dispense medication, assess and dress injuries, undertake patient observations, record care given in notes, etc…). This Nurse will most likely be expected to have the same background and require the same training irrespective of which Hospital is worked in. In a nutshell, working under the umbrella of the NHS affords some level of consistency for workers – respecting pay, terms and conditions, training, etc. By contrast, Social Workers are employed by Local Authorities, and this impacts massively. Different Local Authorities can have very different population demographics, very different funding levels, and very different ideas as to how to allocate this funding. This means that the services they provide can be vastly different, and the resulting working environment for employees is thus also very different. Different Local Authorities can set different terms and conditions in respect of employee roles; they may also provide different sorts of training, or have differing levels of availability of various training courses. Facilities available at different Local Authorities may vary considerably (possibly dependent upon what they have decided to invest in), and this impacts upon Social Workers because it dictates the nature of resources they have to work with. For example, if a Local Authority decides not to invest in respite care and rehabilitation centres, then those Social Workers who need to be able to refer clients to such services are really going to struggle. Put simply, because of the way in which Social Workers are both employed by Local Authorities, and are also reliant upon the facilities and services of Local Authorities to do their job properly, then any decision made by Local Authority management teams impacts significantly upon the Social Work profession. THIS is why the issue of MANAGEMENT for Social Workers is so important. When it comes to how a Social Worker feels about his/her job, this is naturally going to be affected by what support the worker feels is available; by what training is available; by what working conditions are like; by how well-resourced a worker is. These are all matters that management impacts upon. Local Authority managers interpret Government policy, and manage any funding provided, translating this into the services that are made available. Management decisions are perhaps the most fundamentally significant issue that really ought to be assessed, and addressed, when it comes to what makes Social Workers feel unhappy at work. This is ultimately the responsibility of those people who decide what resources shall be funded, what training made available, what a worker’s terms and conditions shall be… I suspect that in Local Authorities that have a good dialogue, and understanding, between Social Workers and Managers (and where Management actually listen to Social Workers) morale is likely to be higher, training more role-appropriate, and resources more well-thought-out. This is because Social Workers on the “frontline” can give management a good idea of what the changing needs of the community may be. Management can then tailor appropriate responses to these needs. For Social Work to work there MUST be a two-way flow of communication and ideas between Social Workers and Management. Social Work as a profession is very much at the mercy of any issue that affects Local Authorities. Thus, Local Authority spending cuts and austerity measures must necessarily impact the profession. The recession has resulted in decreased budgets for Local Authorities, and this impacts directly upon funding for Social Work, which must still come out of these smaller budgets. Added to this, times of financial recession hit the general public hard, with the result that Social Services departments may actually see an INCREASE in demand for their services. The irony is that this happens at the exact time that budgets for services are being CUT. Sad to say, but this is why Social Work is perhaps one of the most policy-sensitive profession there is. The very nature of Social Work means that Social Workers are employed by Local Authorities (and thus highly subject to vacillations in social policy),plus they work with many demographic groups (e.g. the homeless, offenders, mentally unwell people, abused children…) who are also hugely subject to fluctuations in social policy. This means that, of course, Social Work will be a job that constantly changes. It changes as social policy changes. Now, this is something that I see very clearly. Sadly, finding answers to the situation is not nearly so easy. Perhaps, first of all, this significant link between Social Work and social policy needs to be explored and fully understood? The profession needs to comprehend how changes in social policy impact upon Social Work – in terms of funding, resources, training, work environment, employment opportunities, etc. Local Authority Managers need to understand that how they choose to interpret social policies can have a significant impact upon their individual Social Services departments. An understanding needs to exist whereby Local Authorities comprehend that the population demographics of their area calls necessarily for both a demographic-specific application of social policies, and a demographic-specific interpretation of social policies. Understanding of demographics is absolutely VITAL, for it is what should underpin any service-provision. Social Workers, too, need to understand that (sadly) their work is policy-related (and sometimes policy-limited) – that interpretations of social policy WILL impact upon the resources, funding and suchlike available to various Social Services departments. a) It is impossible to restrict sickness – NO employee can predict illness, nor know how long it will last. For example, an employee could break their ankle and be off work for seven weeks. With a restrictive sickness policy, this could automatically trigger punishment (and really upset the employee). Again, some employees have long-term disabilities or health problems that their employers are fully aware of, and which do necessitate time off work. For example, an employee could have Crohns Disease, and as a result, has four periods of sickness in a working year, totalling 18 days. This again could trigger punitive measures, which the employee might view as unjust. EMPLOYEES CANNOT GENERALLY HELP GETTING ILL. Punishing people for genuine illness or disability simply makes them angry and upset, and actually raises stress. This lowers workplace morale even more, and may INCREASE sickness levels because staff who fear punishment for being ill no longer wish to work there. Their original illness may now be compounded by stress, and a desire not to return to the workplace that caused this stress. Unwise sickness policies may actually increase staff turnover, and increase risk of Disability Discrimination, or harassment, claims. b) Harsh sickness policies may be interpreted as unacceptable by disabled employees. They may see these policies as signs that an employer is less than supportive. As a result, disabled employees may make decisions about where they choose to work based upon an employer’s sickness policy. Some employers could therefore get a “bad name”, which might then mean that even non-disabled employees start giving this employer a wide berth. This makes it much harder for such employers to attract staff. c) Policies that make sick people feel guilty for time off, and which force them to feel obliged to work even when ill are irresponsible. Sick people NEED to be OFF WORK. This is both to recuperate, and to ensure that they do not spread an illness if it is infectious. If, for example, an employee feels obliged to return to work whilst still recovering from a nasty chest infection, there is a good chance that other staff may contract the infection (thus raising sickness absence levels), or even worse CLIENTS may contract the infection. This is SO NOT GOOD PRACTICE!